Bay Fish N Trips will take 5% off the individual ticket price of anyone wanting to come out fishing on Port Phillip Bay while they stay at one of the accommodation places on offer with Allocate Holiday Property Rentals. Just ask Alex or Andrew for the special code word before calling to arrange your fishing trip. This package would suit a couple or groups (family or friends). The Mornington Peninsula is a beautiful part of the world with many activities. Apart from fishing or cruising on Port Phillip Bay with Bay Fish N Trips, there are numerous winery tours, nature walks, world class golf courses and gourmet dining available year round. 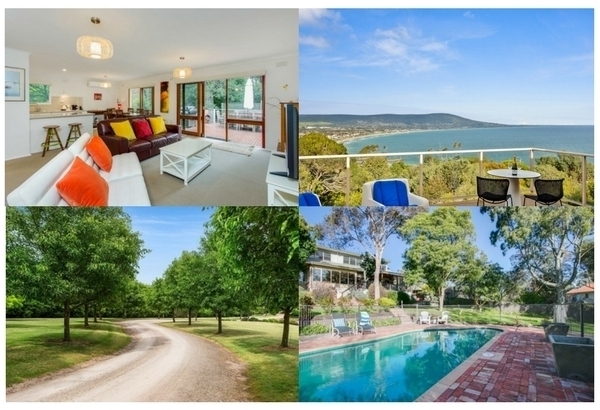 To view the 30+ properties available to rent visit Allocate Holiday Rentals. For further regarding fishing on Port Phillip Bay or to book your fishing trip using the code word, please call Sandra on 0418 349 364. NB. Fishing trips are subject to availability and weather conditions. Offer applies to shared fishing trips only.